I learned this from the singing and playing of Suffolk fiddler Harkie Nesling, on the Topic LP The Earl Soham Slog. anything, so friends captured a bear, which they tethered to a tree, and invited him to shoot it. Roosevelt’s reply: ‘Spare the bear. I will not shoot a tethered animal,’ soon became common knowledge and later that month Clifford & Rose Michtom of Brooklyn produced a soft bear which they called‘Teddy’. 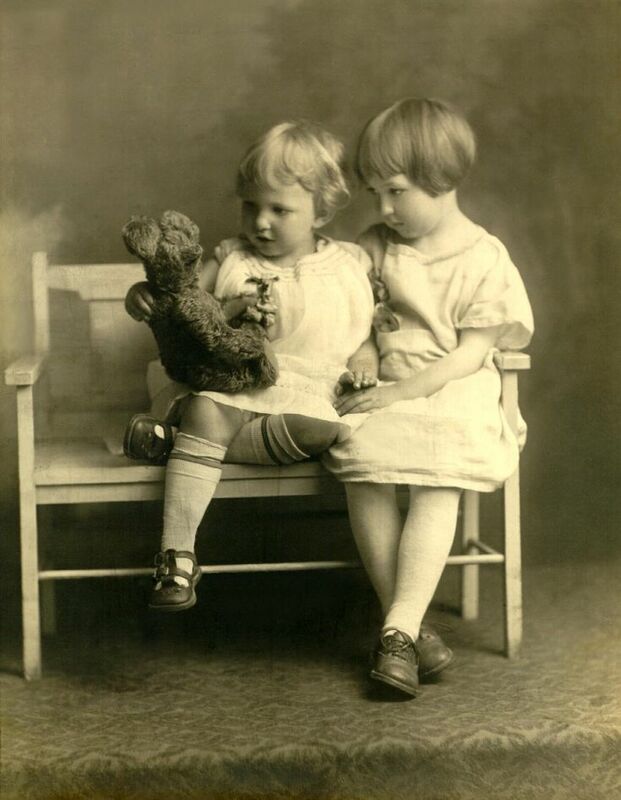 I would suspect that Harkie Nesling’s tune and short text probably date from the period 1902 up to the outbreak of the Great War in 1914, a time when Teddy Bears were very much in vogue and millions were sold in Europe and America. At least one other similar piece can be dated to 1907: this is Be My Little Teddy Bear by Vincent Bryan (best known for writing In the Sweet Bye and Bye) and Max Hoffman. Sadly, though, this is not the song that Harkie sings. 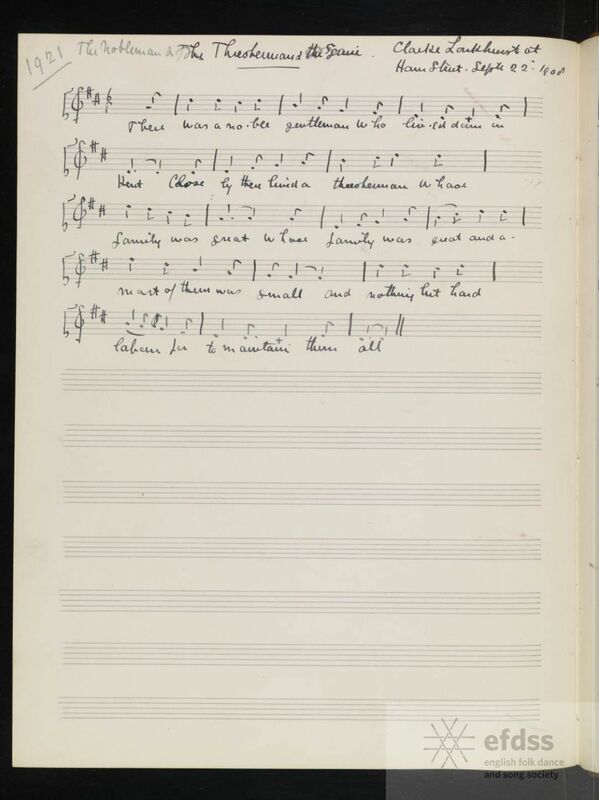 You can hear Keith Summers’ recording of Harkie Nesling singing this song on the British Library website. 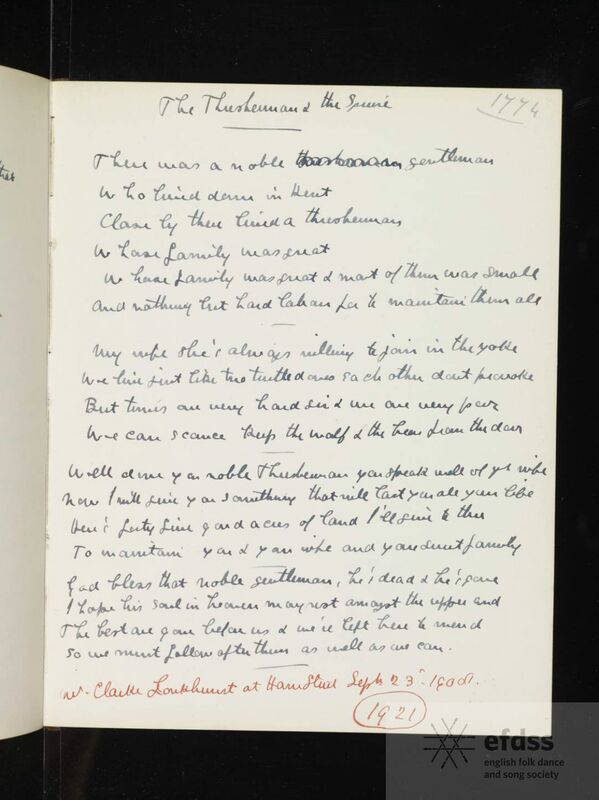 It’s the one hundredth week of the blog, so let’s celebrate with a rather lovely little traditional song, with a decidedly lovely guitar accompaniment from the perennially lovable Chris Wood. I first heard this c1981 at the Heritage Society in Oxford, sung by Andy Cheyne, who had recently appeared on the Oxford scene. Andy immediately became a favourite at the club, as he had a range of really interesting songs with really interesting accompaniments. Mainly, he played acoustic guitar, but also had one of those electric guitars with a small speaker embedded in the body – a few years later Ali Farka Toure was shown playing one on the cover of Folk Roots. Chris has subsequently recorded the song a couple of times, with the Two Duos Quartet, and with Jean-Francois Vrod. Chris learned it from me, as he has always acknowledged, although I seem to remember he’s changed the accidentals around a little. Like last week’s song, this appears to be the only collected version of Roud number 3461. Last September I went to Cecil Sharp House to see Nic Jones be presented with his EFDSS Gold Badge and – much later in the proceedings than many of us would have liked – to hear him sing a few songs. This was the first time I had seen Nic perform in over 3o years; for many younger members of the audience it was the first time they’d ever seen him perform. To be honest, we’d have cheered him to the rafters just for being there, but – mirabile dictu – after 30 years away from performing, the moment he started singing it was clear that he hadn’t lost the old magic. Backed, magnificently, by his son Joe on guitar, and Belinda O’Hooley on piano, he began his set with ‘Master Kilby’. A wonderful moment, and I don’t mind admitting that a tear bedimm’d my eye. So far as can be told, Master Kilby has been found once only in tradition; Cecil Sharp noted it from Harry Richards of Curry Rivel in Somerset, in January of 1909. That’s all we know; it doesn’t seem to have been published on broadside sheets. Benjamin Britten published an “art music” arrangement of it, but you can be pretty sure that anyone who sings it now learned it from Nic Jones’ recording, at one remove or another. Actually, looking at the records on the Full English site (at http://www.vwml.org/roudnumber/1434) it seems that Sharp first took this song down from Harry Richards on 29th July 1904, then went back and noted the song again – with a slightly fuller set of words – on 6th January 1909. Well, it’s a song that is well worth collecting twice. I made a point of going back to the tune and words as collected from Harry Richards, rather than learning the song from a Nic Jones record. But all the same, it’s only now, six months on, that the song is beginning to feel like part of my repertoire, rather than a Nic Jones cover version. Just a quick note for anyone within striking distance of Derby. I shall be playing a week today – Thursday 18th July – at Derby Heritage Traditional Music Club, The Old Derby Gaol, Friargate, Derby. The club is run by Keith Kendrick and Sylvia Needham, and I’m told it’s a really good club, in an interesting venue.